How is it November already?! I hope you all had a fantastic Halloween and didn’t stay up too late running on sugar! 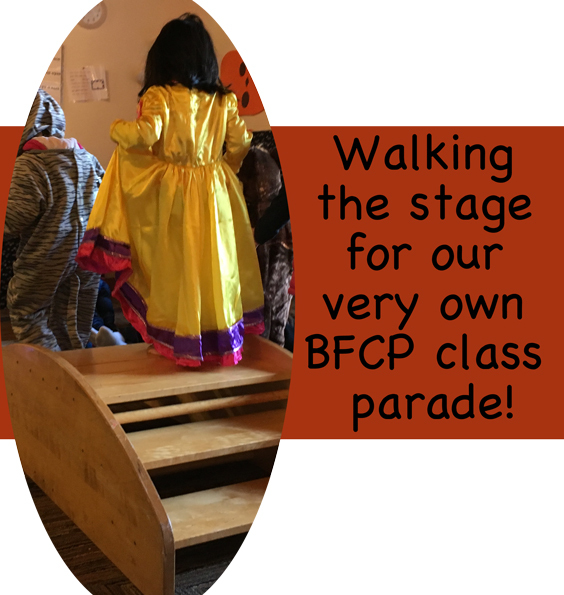 I loved seeing our Bothell Family Cooperative Preschool friends dressed up in costumes during our class party (ours was last Friday and the start of our Halloween fun), and I’m sure you all did with your class parties, too! The curriculum team did a spooky, fun, and AMAZING job with the Fall, pumpkin, and Halloween themes; I hope no one missed the giant spider web on the ceiling downstairs! Alas, wave goodbye to October and bring on November, the month that reminds on to give thanks with families and strangers as well as new friends and old. Curriculum-wise, this month we’ll see themes of food, traditions, thankfulness, and turkeys (because we can’t have November without these fowl friends!). Downstairs in dramatic play, get your pizza serving skills ready, because you’ll find a pretend pizza restaurant for our little chefs. Search around and you’ll find books by Salina Yoon, November’s author of the month! Look forward to family and soup nights at the school! 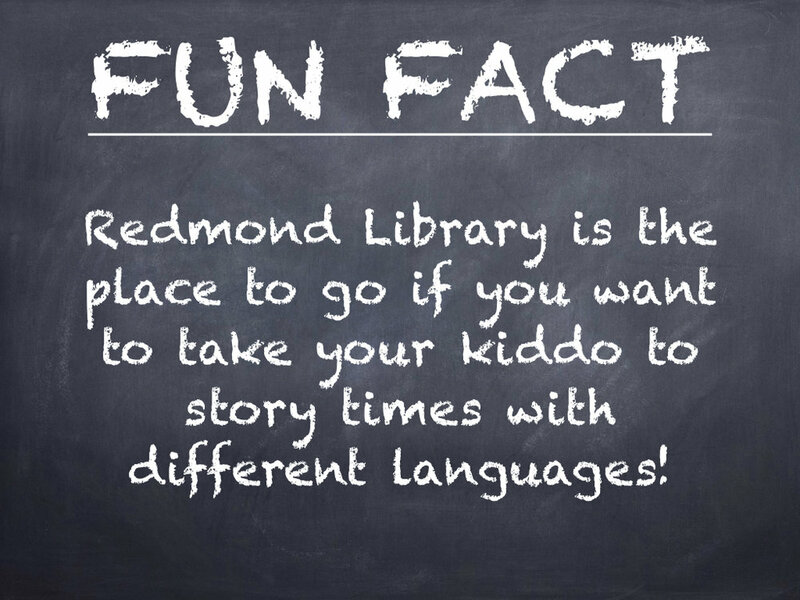 Each class will get together on a different night; the infant and toddler class will celebrate family night while the older three classes will celebrate soup night! For soup night, we’ll each bring 1-2 cups of cut-up veggies for a delicious soup to be cooked during class and then served later on in the evening. As a bonus, we’ll get to meet all the mysterious siblings that we hear about during class! On the 16th, get ready for our November parent meeting! We get a treat with Ann Hollar, a wonderful speaker from the Center for Child and Family Well Being, UW. Her topic of discussion will be: “Learn about how cultivating a culture of mindfulness in the school and at home can help shift the parent-child dynamic to one of gratitude and self-compassion.” Here's a link to learn more about Ann Hollar. One of her answers from her FAQ caught my eye; when talking about what she has learned from her own mindful practice she says, “I have learned to listen more fully, react less often; be more curious and less judgmental.” I’m excited to see what she has to say! Speaking of what people have to say, look forward to some class sharing. The 2/3, 3/4, and Pre-K classes will have the opportunity to decorate a turkey picture for the Turkey bulletin board at school. In the older two classes, keep an eye out for anything turkey that you want to share! And continuing with our 3/4 and Pre-K friends, they get to go on another excursion this month! We all enjoyed visiting the pumpkin patch last month, but this time the 3/4s and Pre-Ks are going to see where many pumpkins and other veggies go. They’re heading off to the grocery store, but not in a shopping cart playing Grocery Search with a shopping list! These lucky kiddos will get to go behind the scenes to learn how a grocery store works! We have so much to look forward to in November in class, but don’t forget to make note of the holidays so you don’t find yourself missing class or looking at a locked building. Class will be closed on Nov 10 (Fri, Veterans Day) and Nov 22, 23, and 24 (Wed-Fri, Thanksgiving Break). There will class the Monday and Tuesday of Thanksgiving week. Here’s to a fun month ahead! Give a shout out in the comments or email me at blog@bothellfamilycoop.org if you have anything November-related you’d like to share! Any topics you want to explore? Just let me know! Outside Fun at School and Fenced Playgrounds! Our gorgeous Seattle Summer weather was perfect for soaking up sunshine while enjoying outside play, and I’m sure we all took advantage of what Mother Nature gave us! But alas, summer has to move aside for the other season (yes, singular): Rainy Season! Luckily for us, add a rain jacket, a pair of rainboots, and maybe an umbrella if we’re feeling extra careful, and we get to enjoy the gorgeous green background that is why we’re called the Evergreen State! Jumping in puddles, laughing as raindrops dance on umbrellas and jacket hoods, collecting leaves of different colors, digging and exploring in muddy areas… let’s face it, rain is fun for us--I mean the kids! 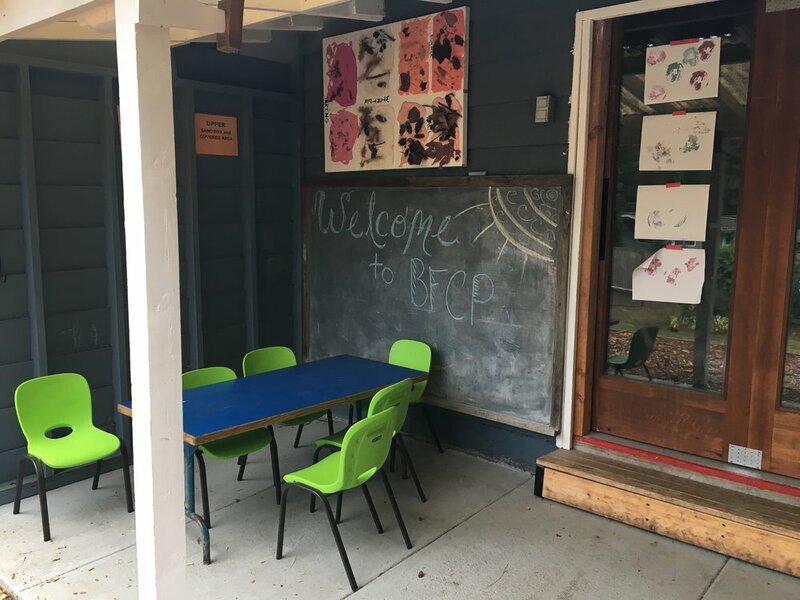 What I love about Bothell Family Cooperative Preschool is that almost every class has about 30 minutes of outside time for the kids to experience the outdoors during any of nature’s moods. While it may be easy for us as adults to ignore nature’s plea for us to go play as rain falls, kids are more than eager to answer that friendly request, and I love that the school makes sure we don’t forget this important aspect of childhood learning. The only class that doesn’t have outdoor time as a major part of the daily schedule is our youngest friends in the Parent & Baby class. Don’t worry about these little ones missing out; the class eventually works up to increasing outside time as those little crawlers and huggers become walkers and runners! If you’re a visitor stopping by the blog and haven’t visited our backyard of fun, it’s quite the treat! I remember first looking and seeing a little playground next to a large outdoor shed just past a little garden area. And then, walking further out, I was amazed that the backyard. Just. Kept. Going! Around the corner to the left there was a dirt pile and a large wooded area with two climbing domes tucked in among the trees. To the right there was a large arched trellis with vines that I later learned were grapevines where the kiddos could directly pick fresh green grapes. In front of where I stood, a wooden play structure greeted me with visions of my daughter having countless hours of fun as she climbed, waved from the top, and slid down slides. And I had thought the inside of the school was cool. For those of us in the younger classes, we don’t get to enjoy the company of our Outdoor Education Specialist, Angela La Tourrette, like the 3/4s and Pre-K classes. She’s responsible for implementing the outdoor curriculum while also offering guidance for us caregivers. Luckily, even though the younger classes don’t see her during class time, we feel her outdoor touch as she helps maintain organization of the outdoor equipment and supplies! School helps us remember how outdoor play can be fun and fantastic in rain or shine, and once we leave the school, the outdoor fun doesn’t have to stop! Sidewalk chalk is great for showing off artistic skills with the added plus that cleanup is easy with the next rainy day. If you don’t have a green thumb, you and your little ones can pick weeds in the yard with the added bonus of knocking some maintenance work off your to-do list. Trim some bushes or trees, and use the clippings for playing in the dirt or indoor art when you’re ready to hunker down inside. Take a walk in the rain with an umbrella for both you and your kiddo, and see how many sidewalk puddles you can find (just don’t forget your rain boots before you jump in one!). If you’re looking for play structures and new friends to find, then you’re in luck! 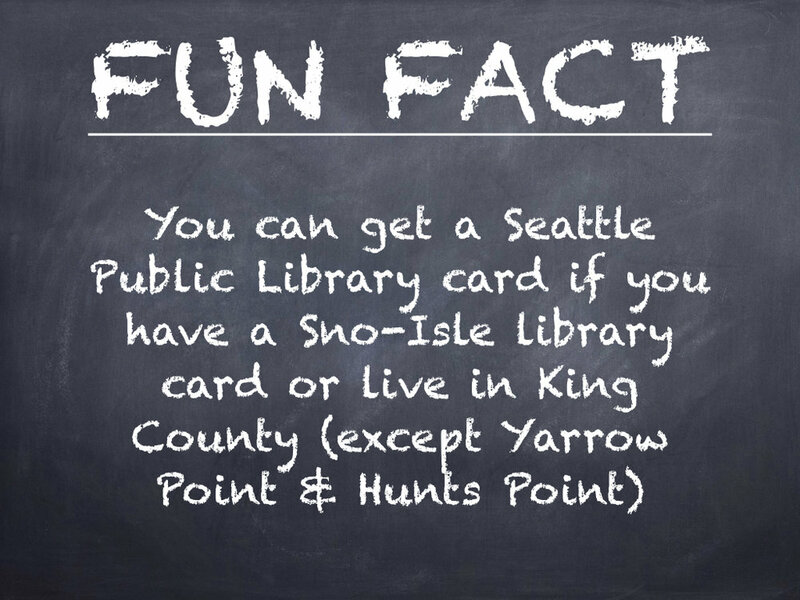 There are so MANY local parks in our area that range from small neighborhood ones to large state ones! Since it would take several blog posts to cover even a fraction of all the amazing parks that the Greater Seattle Area has to offer, I want to start small and share five fenced parks that are nearby. You have a runner. These kiddos are the ones that love to run in the direction away from you while you’re marveling that they somehow inherited an Olympic sprinter gene--the one you don’t have. Hearing their name called is translated to run faster. Don’t worry, once they reach that fence, you will finally catch up to them. You are pregnant and have a preschooler. You don’t even have to get up to corral your active one, because the fence is already doing it for you (insert high-fives here). You have an infant and a preschooler. See number 3 reasoning, because your older one’s activity level is directly proportional to when your younger one needs to be fed, nap, or have a diaper change. I’m fairly certain the second law of Sibling dynamics covers this. You’re having a playdate. See number 3 reasoning. You can actually talk to another adult at a park, and if you’re feeling confident, even sit on a bench to do so! You have a young child, and you’re conserving energy. See number 3 reasoning, which probably should have been number 1, capitalized, and the only thing on this list. It’s lunch and you have a child who won’t sit and eat. Eventually your little one will cross paths with you (and that sandwich) without you getting up from the picnic blanket. Actually, let’s just say see number 3 reasoning. With no further ado, here’s a list of five fenced parks in no particular rational order except for when I learned about them. Parks 1, 2, 3 and 5 photo credits to the park websites! 1. Tot Lot Park at 111 9th Avenue, Kirkland. This park is fully fenced with gate. Tot Lot Park is a fantastic starter park if you have a little one ready to explore. The play structures are easy to climb with small slides, having been designed with toddlers in mind. There’s a large cement turtle ready for chalk art that gives the park its friendly nickname “Turtle Park.” You’ll also find a large sand pit for digging and swings for added fun. Picnic tables are available, but you can also bring a picnic blanket to settle in on the grass for some peace and comfort (because did I mention a fence)? 2. Phyllis A. Needy Houghton Neighborhood Park at 10811 NE 47th Street, Kirkland. This park is fully fenced with gate. 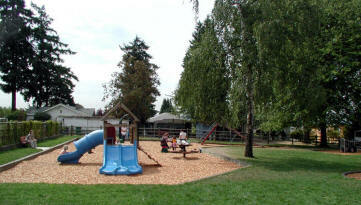 Phyllis A. Needy Park is also a great park for those with little ones who love to dig! There’s a sandpit, swings, spring riders, and a climbing structure (for younger ones with a little more mobility skill than at Tot Lot Park). There are also picnic tables available, but that picnic blanket you used at Tot Lot can also be used on the wide-open grass since that wide-open grass is also fenced. 3. Tambark Creek Park at 17217 35th Ave. SE, Bothell. This park is fully fenced with gate. 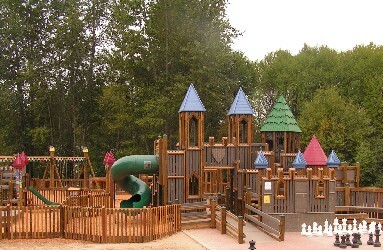 Tambark Creek Park has a wonderful playground designed for the five and under crowd. They have some more advanced play equipment along with some easier ones for those still working on mobility. If you have more of an age spread with multiple kids, this playground will be sure to entice both ends of the up to age five spectrum with some activity. While there are only benches for you to sit on within the playground, venture out from the fenced haven, and you’ll find picnic areas, trails, woodlands, wetlands, and an overall good time! 4. St Edwards Park at 14445 Juanita Dr. N.E., Kenmore. Under Five play area is fenced with open doorway in. St. Edwards State Park has an amazing playground area that needs to be experienced and not described, because it’s. That. Much. Fun! Once you’ve gotten your initial look at the large wooden play area that’s like a cross between the tree house you’ve always wanted and the castle you want to rule, enter and find the entrance to the five and under area. While not gated, this fun and age-appropriate area is fenced and you only have about five feet of non-fence to worry about your little one to sneak through. Luckily, there’s a bench nearby ready for a sentinel on duty! This infant, toddler, and preschooler zone also has a sand pit and swings in addition to smaller play structures. When you’ve gathered up strength and filled up on fortitude, you can explore the gorgeous scenery this state park has to offer. There are plenty of trails to explore and discover new treasures. Speaking of discover, you do need a Discover Pass to park. Don’t let that stop you; it’s well worth the fee! 5. North Rose Hill Woodlands Park at 9930 124th Avenue NE, Kirkland. Two fenced play areas with open doorways in. Finally, last but certainly not least is gorgeous North Rose Hill Park which ups the ante by having TWO fenced play areas--THREE if you do creative counting. Like the non-gated play area in St. Edwards Park, the play areas here aren’t gated, but you have mostly fenced areas giving you peace of mind. One fenced play area is at the North East end of the park and looks like your standard fun playground mostly designed for the younger crowd with a center play structure needing more of an older toddler or preschooler skill level to climb and enjoy. However, on the west side of the park is the true star and gives this park its nickname “Castle Park.” Bring your Lords, Ladies, Knights, Jesters, Kings, and Queens, because they are going to have a blast bringing imagination to life in this wooden castle! While the main structure is designed for the older set on the children age scale, this glorious playground is FENCED (well, aside from that entrance, but someone must have forgotten to raise the drawbridge)! And then, as you enter this royal abode, take a journey to your left to find the play area for the younger crowd. Which. Is. Also. Fenced. Yes, that does mean you have a fenced play area in a fenced play area (Fenception for you Inception fans). Well, there you have it! From a simple hop to your backyard to a lengthy jaunt at a state park, I hope you enjoy our beloved rainy season by getting outdoors and having fun! 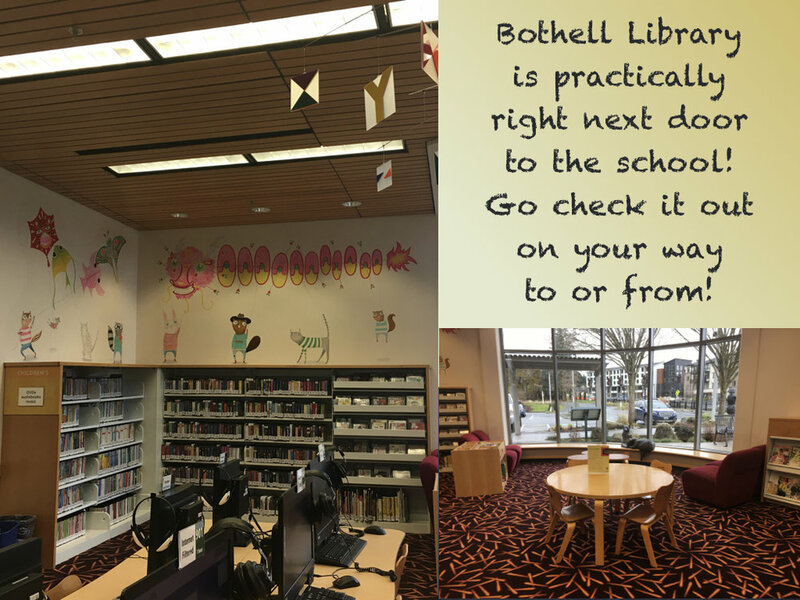 While we’re all relieved to know our kiddos are set at Bothell Family Coop Preschool when it comes to outside play, hopefully this post helped you find some inspiration for the rest of the days of the week! 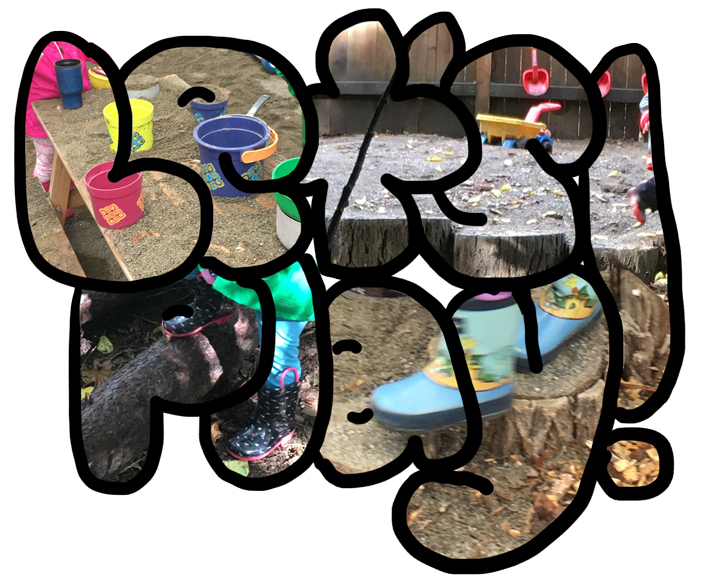 Shout out in the comments or email me at blog@bothellfamilycoop.org if you have some more ideas for rainy day outdoor fun, a park you love, or any other idea you’d love explored in a future blog post! Thanks for stopping by! The Bothell Family Cooperative Preschool is hosting a winter Diaper Drive from Dec 3rd - Dec 15th, benefiting LifeWire’s domestic violence shelter. BFCP members can bring all sizes of diapers & wipes to the preschool, and put them in the donation bin in the mudroom. Open packages welcome! For those of you that are still looking for places to haunt this coming Halloween, below is a list of events that are in the neighborhoods surrounding our preschool. We hope this gives you ideas to make your upcoming Halloween the spookiest that it can be!